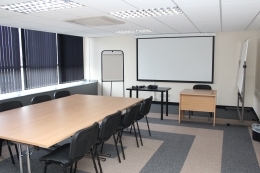 If you are looking for a professional venue to hold your next business meeting then call us today. 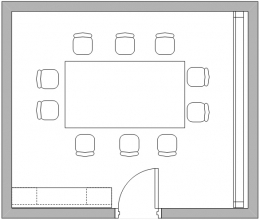 Our meeting rooms are configured as shown in the diagram opposite as standard but can be configured to your exact requirements for an additional charge. AV and presentation equipment can be provided at an additional cost or you are free to use you own. Should you require it catering can be provided and menus should be discussed with the centre management.